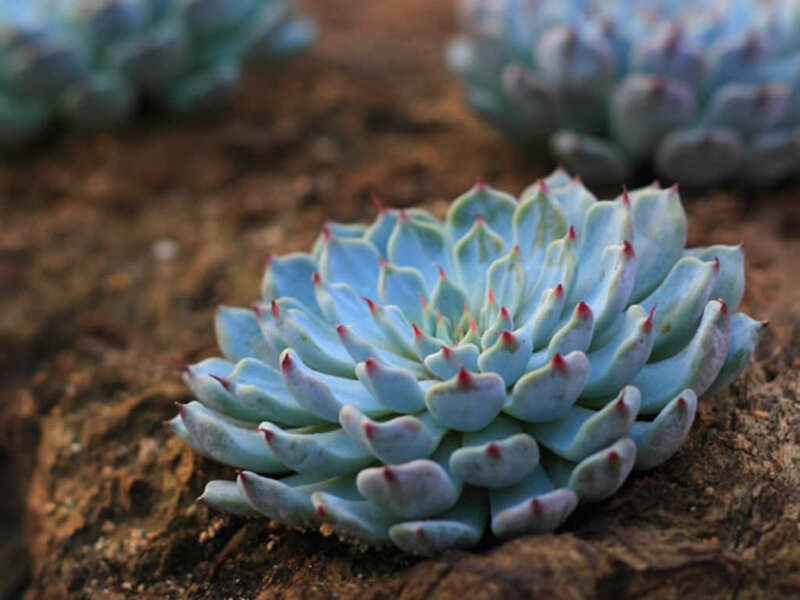 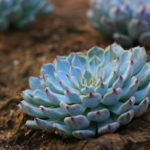 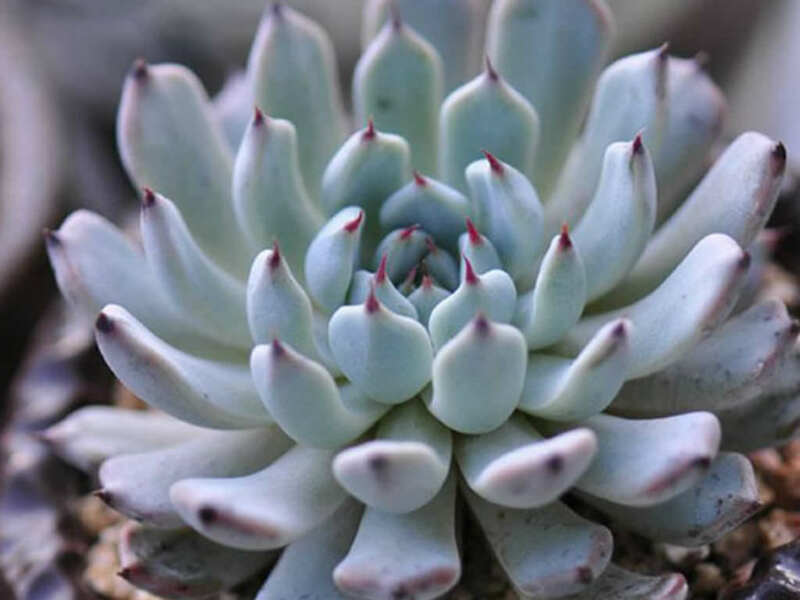 Echeveria cuspidata is a perennial succulents with thick green or gray-green leaves with red tips, up to 4 inches (10 cm) long, that overlap in rosettes that often resemble artichokes. 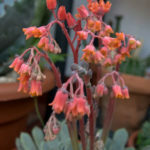 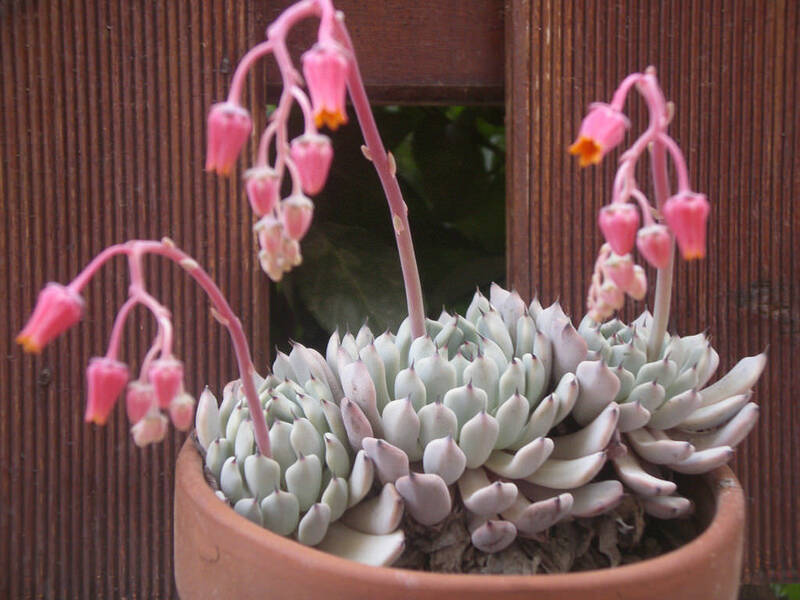 Echeveria cuspidata var. 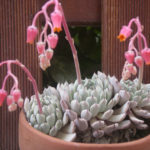 gemmula has narrower, white to pinkish leaves. 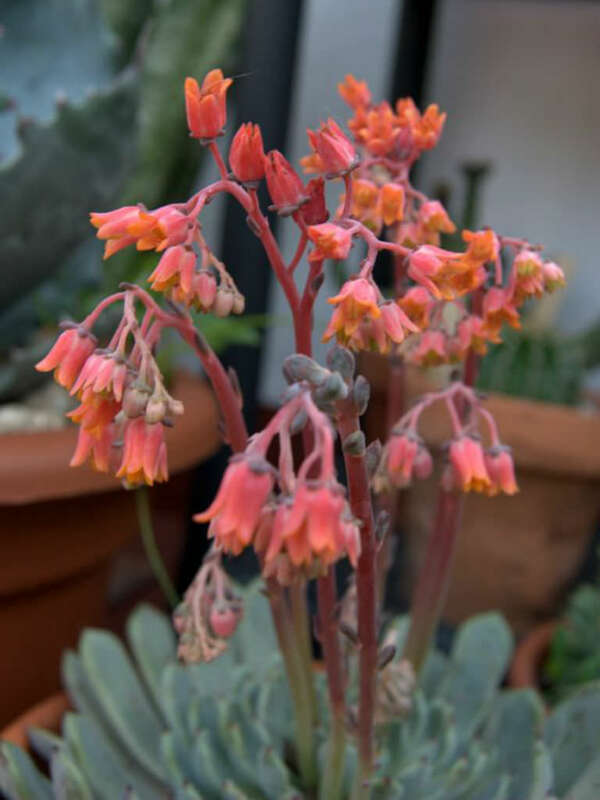 Leaves are at their brightest from autumn to spring, and are followed by long-lasting flowers in pink outside and orange inside.